Berkeley, California – Rookie linebacker Chris Borland, of the San Francisco 49ers, announced that he is retiring because of concerns about the long-term effects of repetitive head trauma. Borland, one of the NFL’s top rookies last season, told “Outside the Lines” on Monday. Borland, 24, said he notified the 49ers on Friday. He said he made his decision after consulting with family members, concussion researchers, friends and current and former teammates, and studying what is known about the relationship between football and neurodegenerative disease. After the retirement last week of All-Pro linebacker Patrick Willis. Borland was expected to be a key part of the 49ers defense this season. Borland had a four-year contract with the 49ers worth just under $3 million. The decision to retire had nothing to do with the 49ers, Borland said. He said that his feelings toward the team and his teammates marked one of the hardest aspects of the decision. “It’s an incredible organization, and they truly looked out for players’ best interests,” he said. 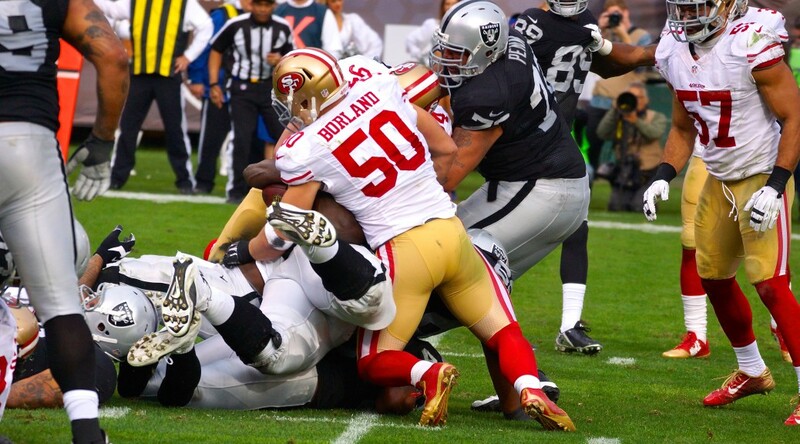 Borlands’ move to retire is a shocking one and it adds to a long list of quality 49ers players that have moved on from the team since Jim Harbaugh’s departure.